Is Getting a Affordable but Reliable Printer Repair Service a Myth? ‘Affordable’ – whenever we hear this, we tend to think of the degraded quality of something. Well, not always but more often than not, we do so. To be more precise we want the charge for something to be cheap but the quality should be commendable. Let’s face it, we do that, right? So, when it comes to the repair of our printers, we do the same. So, in this blog we will discuss whether a cheap but reliable and high quality printer repair service is merely a myth or that can happen. Well, instead of hitting around the bush and then letting you know the answer right at the end of the blog, that’s too cliched! Let’s start by saying that YES, a cheap but reliable printer repair service is possible. However, there is BUT to the story as well. Now, let’s figure out what lies on the other side of the BUT. That is what the things are; that you should consider to make sure that you get a cheap service but something that does not hit on the equality. The first factor that you should check before opting for a printer repair service is the kind of reviews that the repairer has online. That is the easiest way to check that out. 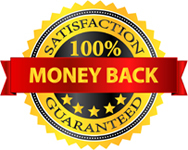 It makes no sense to give your printer to ill-reviewed printer repairing services just to save a few bucks. That way you might end up spending more actually. The second factor that you must take note of is the delivery time that they take. A cheap and affordable service doesn’t mean that the repairing company takes ages to deliver it back to you. Those who run their own business or something cannot afford the delay. So, make sure you have a thorough understanding of the nuances of their services and especially of how much time they take to deliver a printer. So, if you are looking for cheap printer repair services in Vancouver or other things such as an affordable printer cartridges Vancouver, then look no further. Payless Cartridge Solutions are the best in town and they not only offer affordable but quality services as well. Visit them at http://www.paylesscartridge.ca/blog/ to know more about their services and get the best repair solution for your printer. They also offer a great quality printer cartridges in Canada.